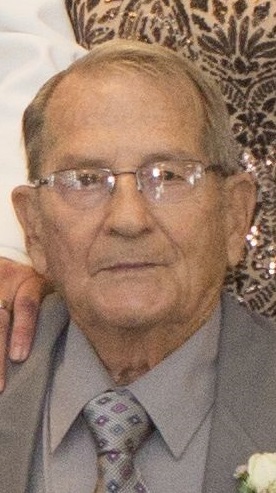 Robert J. McMillen, 90, of 1018 West Washington Street, Bradford, passed away, Sunday, April 14, 2019, surrounded by his family at Bradford Regional Medical Center. Born March 7, 1929 in Fryburg, he was a son of the late Harold G. and Catherine O. (Obenrader) McMillen. He was a 1948 graduate of St. Bernard School. Robert served during the Korean War in the United States Army from August 26, 1950 until he was honorably discharged on May 27, 1952. On February 14, 1953 in St. Francis Church, he married Ethel L. (Fox) McMillen who survives. After the service he worked at Clark Supply, Hull Electric, and prior to his retirement he was an Industrial Salesman for Bradford Pipe & Supply. Bob was a member of St. Bernard Church, the Bradford Township Lions Club, the West Branch Community Club, and he loved to hunt, camping and being outdoors. Surviving in addition to his wife Ethel of 66 years, is one daughter, Cindy M. (Michael) Wilber, of Bradford, three sons Gordon E. (Denise) McMillen, of Clearwater FL, Kevin E. McMillen, of Orchard Park NY, and Robert J. (Catherine) McMillen, of Rochester NY, two brothers, Harold “Junior” (Boots) McMillen, of NH, Neil (Bonnie) McMillen, of Bradford, one sister Mona (Alvin) Wehr of Austin, TX,, four grandchildren, Eric McMillen, Stephen (Chelsea) Wilber, Tyler Wilber, Michael Todd Wilber, three great grandchildren, Doninique Pryor, Morgan McMillen, Gracie McMillen and several nieces and nephews. Bob was preceded in death by his parents, three sisters, Leona Schmetter, Esther Elinski and infant Mary Ann, one brother Donald McMillen. Friends will be received on Wednesday April 17, 2019 from 11:00am to 12:30pm in the Hollenbeck-Cahill Funeral Homes Inc, 372 East Main St., where a prayer service will be held at 12:30, followed by a Mass of Christian Burial at 1:00pm in St. Bernard Church with Rev. Raymond Gramata, pastor as Celebrant. Burial will be in St. Bernard Cemetery. Memorial contributions if desired, may be made to St. Bernard Church or the charity of the donor's choice. So sorry to see this. Covering your family in our prayers. Gordon, Cindy, Eric, so sorry for your loss. Bob was a good father and grandfather. He was a kindhearted gentleman. Please know your Family is in our thoughts and prayers. Bob was a great man and will be missed by anyone who knew him.